I Consider the Satisfaction of my Clients to be my Greatest Achievement. Gerri-Lynn Fives, ABR, CIPS, CNE, CRS, GRI, RSPS, TRC, is one of Pacific Sotheby's International Realty's most outstanding associate brokers and was named 2013 REALTOR® of the Year by the Greater San Diego Association Of REALTORS® and 2011 REALTOR® of the Year by the Coronado Real Estate Association (CREA). She received the prestigious award in recognition of her ethics, integrity, service to the community and the entire real estate industry. Gerri-Lynn has a unique recipe for success that results in continuously exceeding the expectations of her clients. Her positive attitude, contagious enthusiasm and extensive market knowledge make partnering with Gerri-Lynn a truly pleasurable and educational experience! I consider the satisfaction of my clients to be my greatest achievement, and take pride in my high volume of repeat business and referrals. 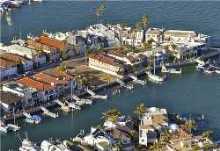 I met Gerri-Lynn through her website, when after an exhaustive search of the Eastern seaboard for a second home, my husband and I decided to check into opportunities in coastal California. Gerri-Lynn and I became fast internet friends and, after several househunting trips, she helped us find our dream retirement home - which I'm happy to say we'll be enjoying long before we retire! Gerri-Lynn is diligent, persistent, and very savvy about the local market and the latest technology. Our homebuying process was relatively painless, and considering we did most of our business long-distance, Gerri-Lynn didn't let on how hard she had to work to make it easy on us. She didn't stop at the closing, either. On our first visit to our new place, she was there with goodies for our fridge, and a warm welcome to our new community. She's become a real family friend, and we try to get together whenever we come west to our home away from home. "Gerri-Lynn went out of her way to make sure the move from one home to the other was smooth..."
I highly recommend anyone that needs to sell or purchase their next home they should use Gerri-Lynn Fives as their realtor. 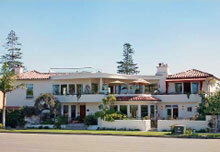 Gerri-Lynn sold our 3 Sandpiper Strand, Coronado home. We also used her in our purchasing of our new home in Fallbrook, CA. 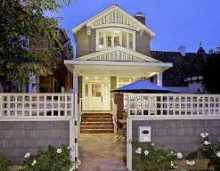 Both homes were high value and closed escrow in record time. Gerri-Lynn went out of her way to make sure the move from one home to the other was smooth. I could not recommend a person more highly than I can recommend Gerri-Lynn. She was so patient with us as she guided us through the process of purchasing a home in Coronado. Given that we were out of town purchases, she had to manage all aspects of the transaction and kept us informed on nearly a daily basis. She introduced us to the concept of transmitting, signing and exchanging documents on line that made everything so much quicker and simpler. She answered all of our questions in a professional and thorough manner. She became a good friend as well as the consummate real estate professional. I would recommend her to anyone wanting the best in representation and advice. Gerri-Lynn Fives provided highly competent and effective service in all phases of the successful sale of an undeveloped residential property. She was knowledgeable and successfully overcame numerous challenges involving the property, including a history of property line issues, HOA problems, questions regarding easements and other rights to the use of navigable waterways abutting the property and questions raised by neighboring property owners. She was very dedicated and loyal to us as a client and prompt in responding to all our requests and questions. I highly recommend her. Gerri-Lynn is a Super Real Estate Agent! Gerri-Lynn is a super real estate agent. She delivers what her clients want. We can't tell you how glad we were that she worked with us and would recommend her highly to someone wanting an agent to find them a property. In the beginning of our hunt for a house we decided to go with Gerri-Lynn Fives because of the exceptional reputation she has with the people we know. She not only met our expectations, but surpassed them in every way possible. She was able to get us a house in the neighborhood we were interested in and even found a home that was not on the market but was vacant. I would refer anybody looking to buy a home to her and only her. She was really amazing through the whole process and was even there for moral and mental support to help us buy this first home. All I need to say about Gerri-Lynn is she put me and my needs first. I have known her for several years and i knew i could trust her so when i entered the real estate circus she was the first person i thought of. I have a number of other friends who are looking for homes and i have been and will continue to give her the highest recommendation possible. Gerri-Lynn if you are reading this THANK YOU THANK YOU THANK YOU. You need to come by and see what we've done!!! Have Questions or Ready to Get Started? Gerri-Lynn is here to help.